Our Gripper Lift and Gripper Lowerator will gently and quietly lift or lower your various sized products from an infeed conveyor using neoprene “D” style grippers mounted to standard Rex chain to elevate or lower your product to your specified discharge elevation. 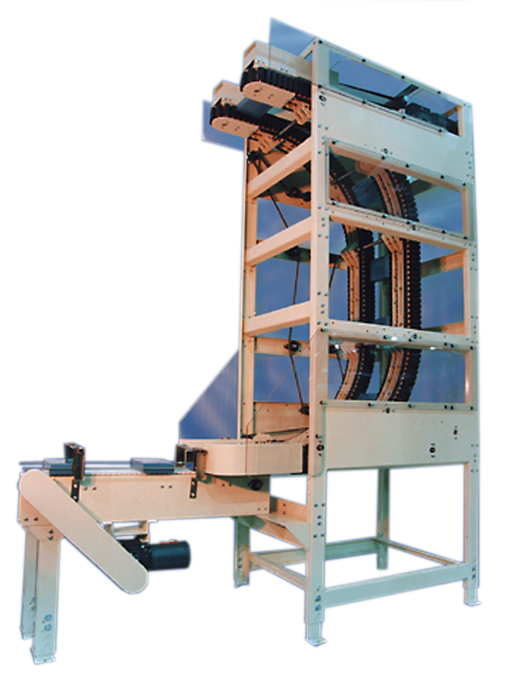 Manufactured for use in processing, packaging, and general material handling applications. The 7 gauge painted or stainless steel channel frame construction with Lexan panels allows visibility of both chain adjustment and product flow. Single drive unit drives both sides so side grip chains stay in sync, preventing product skewing. High speeds achievable with use of chain oiler. Small footprint to conserve floor space.